An Israelite fort of the late 7th–early 6th centuries BCE was uncovered in an excavation carried out in November–December 1982 in the vicinity of the modern settlement of Vered Yeriḥo (Jericho). 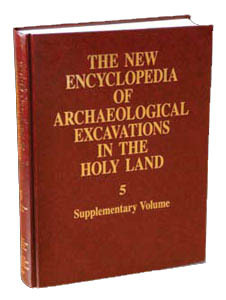 The excavation was conducted on behalf of the Staff Officer for Archaeology in Judea and Samaria. It was headed by A. Eitan, who was assisted by Z. Shavit and A. Meiron. Situated on a flattish narrow spur on the north bank of Wadi es-Suweid, the fort is about 6 km south of the tell of ancient Jericho, and commands over a considerable area of the Jordan Valley. The remains of the fort have created a 2.1-m-high hillock (30 by 25 m). It should be noted that a site of the same period has been discovered 3 km north of the fort; that site covers an area of about 7.5 a. on the south bank of Wadi Qelt and should perhaps be identified with Iron Age Jericho. Both the site and the fort were discovered by inspectors Z. Shavit and Z. Shemuel.